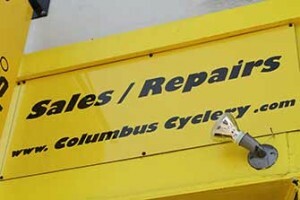 Affordable Bike Repair Services at San Francisco’s Columbus Cyclery! Our San Francisco Bike Repair shop is open daily from 8am to 8pm. 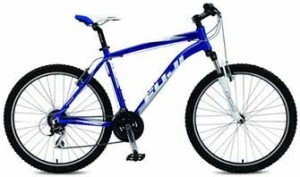 We fix any type of bikes, covering the full spectrum of minor tune up to full bicycle overhaul. At Columbus Cyclery, we carry a large inventory of bike parts new and used, which gives us the ability of repairing most bikes same day or within 24 to 48 hours max. We also do basic repairs on Scooters. For an Affordable and Professional Bicycle Repair or Tune Up in San Francisco, bring your bike in today! On top of the traditional Bicycle Repair, we do Bike Assembly or Disassembly, we do boxing with National and International Shipping. All year round! There is no appointment needed. If you are unsure about the condition of your bicycle, we offer a Free Bike Check-Up. 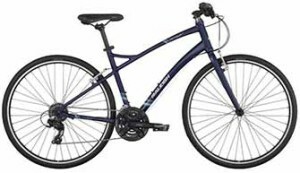 Bring your bicycle over and we’ll look at it together and will give you an assessment of its condition within minutes, as well as a free estimate of repairs if needed. We can also do some emergency bicycle repairs at our shop if the work load allows it. You are also covered by our 30-day warranty, parts and labor on any work we do. The more miles you ride, the more your bike’s wheels are affected by irregularities in the surface of the road. If your wheels are wobbling – it’s time for an adjustment. Slightly untrue wheels are straightened during a regular tune up. This is done by adjusting the tension of the spokes. Additionally, the cables activating the brakes and the gears, tend to stretch. Braking and gear shifting will feel different as more miles are added on the bike. A tune up fixes those issues. Cables are tightened (or replaced if they are frayed), and derailleurs re-adjusted as needed. If the bicycle is used frequently, brake pads might need replacement. Additionally, our shop rebuilds any bike with added components or assembles a new bike. As long as your bicycle frame is good, everything else can be repaired or replaced! We offer a 30-day warranty for parts and labor. All Bicycle Repairs require your approval. Replacing/fixing a broken shifter or brake lever, etc. Tune ups normally take 24 to 48 hours, but can be done the same day if our workload allows it. Our professional tune up puts your bicycle safely back on the road. We thoroughly check your rims, gears, chain, brakes, steering, tire condition and pressure levels. All our work comes with a 30-day warranty for parts and labor. (*) NOTE : Any part replacement is at additional charge for the part itself and the extra labor. Gears Adjustment : $15 Front or Rear. $25 for both. Add cost of new cable ($3) if needed. Tire or Tube Change: $10. Labor only. Wheel Trueing : $20 per wheel. $30 for two wheels. Spoke replacement : $23 for the first spoke. $3 each for additional spokes. Includes trueing of the wheel. Headset installation : $30. Labor only. Bottom Bracket Overhaul/Replacement: $35. Labor only. Front or Rear Hub Overhaul/Replacement: $35 Front. $45 Rear. Labor only. Chain Sizing & Installation: $15. Labor only. Derailleur Installation Front or Rear : $30. Labor only. Add Derailleur and Cable ($3). Bike Disassembly : $65 for bare bike. 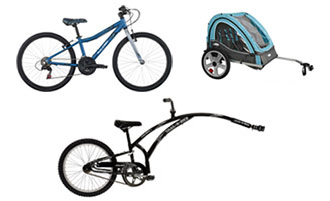 $85 for Bikes with accessories and gears. Box & Packing materials included. Pedals/Grips/U-lock Mount/Handlebar bags/Lights installation: $10. Free with in house purchase. Rear rack installation: $25. Labor only. Free with in house purchase. Storage fee : All bikes are held Ten (10) for free after repair is completed. $5.00 fee/day applied after 10 days. Victor I — I’m new to cycling so this is the first time I’ve ever had to take my bike for a tune up. I called a few times and each person I spoke with pleasantly answered each of my questions and thanked me for calling. In addition, they are conveniently open 7 days a week until 8pm! When I dropped my bike off they said it would be ready in 48/72hours, imagine my surprise when they called me early the next day and said it was ready! They cleaned my bike up and made it all shiny and the best part is that it rides like new again!! I will definitely return! Zhen C. — Picked up my bike today that I brought in just a day before! Brought it in for a professional tune up. Bike and gears are now squeaky clean. Brakes were adjusted and wheels trued. Such friendly and quick service staff. Glad I found this place that will take care of my bike in an honest way. Be sure to check them out! 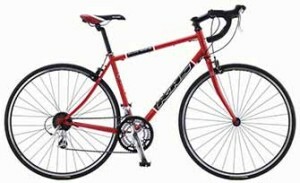 Ryan P. — I bought a bike from Giantnerd and after handling the basic assembly I needed some help with the fine tuning. I had a short window of time to work with and the other shops that I frequent in the neighborhood were booked solid for the day. What to do, what to do? Well, for one, Columbus Cyclery is open at 8am on Saturdays, which is unreal. I came in and decided on their $80 tune up package. They told me they would honor the promotion currently on Groupon for $39 so already I was ahead of the game. They turned it around in less than 3 hours and no complaints on the tuning. Wheels are true, the derailleur is solid and the brakes are tight. If you get in on the promo price this is absolutely the best price in SF. And even if you don’t , this is a small mom & pop shop that is deserving of our community’s support. Eileen B. — Love them! Brought my Bianchi in for a tune up. They were friendly and just lovely: the guy who worked on my bike showed me his own bike and we talked about our wheels like they were old friends. He clearly loves and takes pride in what he does. Also, the shop owner called me later that evening to tell me that while balancing the day’s books, he noticed there had been another charge on the register when they rang me up, and that they accidentally added that to my bill….to come back tomorrow to get the overcharge back. Wow. Seriously, I wish they worked on cars as well! 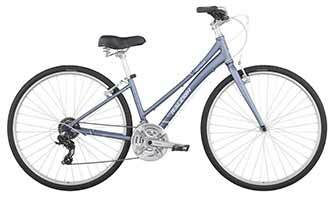 Abby P. — I was able to get my hands on another bike, a road bike this time. Emile C. — Excellent shop! They sell new parts and resell old parts for cheap. Tune up was affordable and the service is great. Guy named Abel fitted my bike for a 200 mile ride up to Kelseyville this week.